It looks like a disturbance in the force has occurred after another director for the highly successful Star Wars movie franchise was apparently fired from his post. 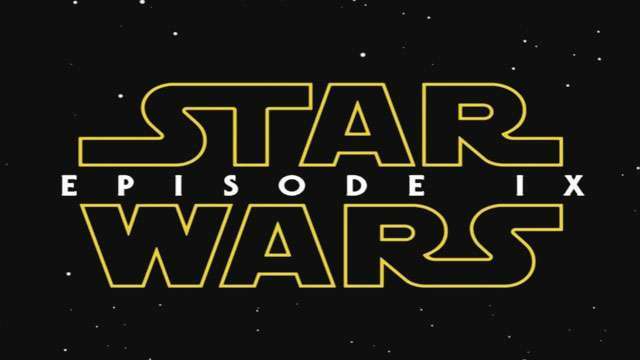 In a statement, Lucasfilm revealed that Colin Trevorrow will no longer helm the upcoming Star Wars: Episode IX, which is scheduled for a 2019 release. “Colin has been a wonderful collaborator throughout the development process but we have all come to the conclusion that our visions for the project differ. We wish Colin the best and will be sharing more information about the film soon,” the statement read. Trevorrow isn’t the only director who lost their directing duties due to so-called “creative differences.” Here are other films whose directors went through an unceremonious exit. In June, directors Phil Lord and Christopher Miller (The Lego Movie, 21 Jump Street) were fired while working on the untitled Star Wars Han Solo movie, which is set for a 2018 release. The duo reportedly clashed with Lucasfilm President Kathleen Kennedy on matters involving their directing style. “Unfortunately, our vision and process weren’t aligned with our partners on this project. We normally aren’t fans of the phrase ‘creative differences’ but for once this cliché is true. We are really proud of the amazing and world-class work of our cast and crew,” Lord and Miller said. Director Tim Miller wasn’t exactly someone you would refer to as indispensable. He successfully directed Marvel’s Deadpool to smash box-office records, even if he had to work on the project with a measly budget. Miller reportedly had a pretty serious argument with lead star and producer Ryan Reynolds, which led to his resignation. At first, everything was going smooth after casting Gal Gadot in the titular role, while also getting Michelle MacLaren (Breaking Bad, The X-Files) as the director in what seemed to be a perfect combination for a film that advocates female empowerment. But things didn’t pan out as planned after both Warner Bros. and MacLaren issued a joint statement announcing her exit due to the all-too-familiar "creative differences" line. Veteran director Brenda Chapman (The Prince of Egypt) was tapped by Pixar studios to helm their animated film Brave. At the time, Chapman was distinguished for being the first female director hired by the popular animation studio. Her stint with Pixar didn’t last long. She was replaced by Mark Andrews. She later on revealed how she was distressed by how one of her passion projects, which was based on her relationship with her daughter, was taken from her and handed over to a man.